We strive to maximise the use of nature’s power to provide the energy we need. With an emphasis on geothermal energy and bioenergy, our team develops and implements projects promoting renewable energy sources and advancing renewable energy technologies. Using our resources efficiently not only contributes to reducing our environmental impact, but also to achieving a sustainable economy. From the latest technologies to recover resources and energy from waste, to practices that promote energy efficiency, our team’s expertise on resource efficiency span across energy efficient buildings, industrial symbiosis, and eco-innovation. Maintaining technological progress and improving the quality of life require managing our natural resources effectively. Minimising the environmental impacts of mining activities, sustainable water and land-use management planning and sustainable tourism are some of the areas our team works in towards ensuring a sustainable management of our natural resources. Change of climate has existed as a phenomenon for as long as the Planet Earth existed. Human-induced climate change, however, is a relatively new phenomenon, the impacts of which we have observed increasingly over the past century. Our team tries to tackle the complex and interconnected causes of climate change, formulating policies and adaptation measures and developing novel tools to make informed decisions that can build resilience towards a climate-proof future. On 11 April 2019, the Business Seminar on Circular Economy was held at Loffice, in Budapest. The event was organized under the Circular Point initiative of the Foundation for Circular Economy and Geonardo. Mr. Jyri Arponen, Senior Lead in Business Development from SITRA introduced the concept of circular economy and its relevance for the manufacturing industry. The presentation provided practical tips and know-how to the manufacturing industry to apply circular economy practices in their day-to-day activities by showcasing best practices. The Ambassador of Finland H.E. Mr. Markku Virri delivered inspiring words to the participants coming from the manufacturing and private sector, academia and associations and foundations interested in the topic of Circular Economy. The MICs project’s kick-off meeting took place on 16-18 January 2019 in Delft, the Netherlands. The MICS project aims at developing metrics and instruments to evaluate citizen-science impacts on the environment and society. Geonardo contributes in various work packages, however, its main role in the project is to lead the test and validation site in Hungary around ecosystem protection using existing infrastructure with local focus on the Creek Rákos in Budapest. BIOMIMIC is a two-and-a-half-year project launched in 2018 and funded by the European Union´s Horizon 2020 Programme under the ERA-MIN 2 initiative. This project aims at addressing the challenge of extracting metals, while leaving the remaining material free from toxic substances. Geonardo is contributing to this project by increasing the project´s visibility in the Central Eastern Europe region and establishing synergies with other relevant initiatives such as the BRAVO (Bauxite Residue and Aluminium Valorisation Operations) European Innovation Partnership on Raw Materials Commitment. Geonardo attended the kick-off meeting of the project SCALIBUR (Scalable Technologies for Bio-Urban Waste Recovery) on 14-15 November 2018 in Valencia, Spain. The meeting was hosted by the Packaging, Transport and Logistics Research Center – ITENE, the project coordinator. The four-year project is funded by the European Union’s Horizon 2020 Programme, and 21 partners form part of the consortium. 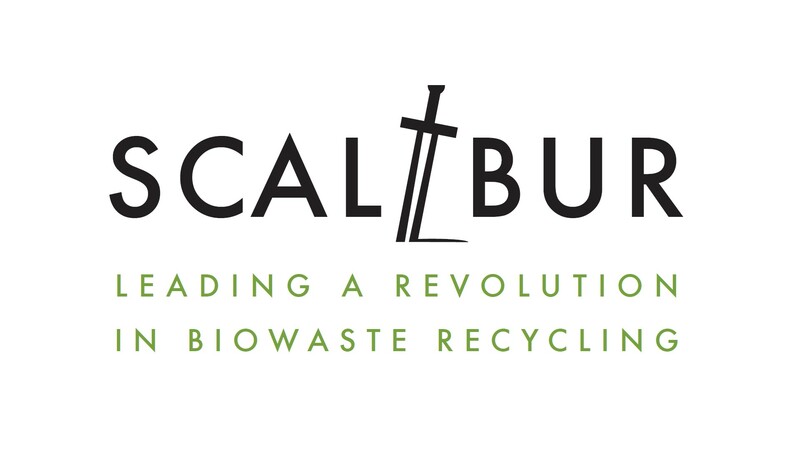 SCALIBUR aims at inspiring a revolution in urban biowaste recycling in Europe by demonstrating a range of innovative technologies to produce high value-added products such as bioplastics and biopesticides. Geonardo is leading the design and development of the e-learning platform and a training kit for municipalities, communities and entrepreneurs to replicate the project’s solutions in Europe. Geonardo has become a member of Greenovate! Europe in October 2018. Greenovate! Europe is a not-for-profit membership group which enables co-operation in green innovation projects covering all parts of the innovation value chain. Greenovate! Europe is headquartered in Brussels and its members come from 14 EU Members States. Geonardo’s membership was officially welcomed at the latest general assembly of Greenovate! Europe, which took place in Potsdam in December 2018. Funded under Horizon 2020, UNISECO and COASTAL projects have both been launched on 1st May 2018. UNISECO aims to strengthen the sustainability of EU farming systems through co-constructing practice-validated strategies and incentives for the promotion of improved agroecological approaches. COASTAL will formulate and evaluate business solutions and policy recommendations aimed at improving the coastal-rural synergy to foster rural and coastal development while preserving the environment. Geonardo is leading dissemination and communication activities in both projects, while also contributing to specific research and development tasks. "GEONARDO" is a combination of 'geology' and 'Leonardo', which represent the early sectoral focus of our company when it was founded, and the technological ingenuity and innovation of Leonardo da Vinci. Today, our team's expertise spans across the broader fields of energy, environment and sustainable development, and our mission is to solve complex societal challenges by providing cutting-edge solutions. Geonardo is an innovation and technology company active in the energy, environment and sustainable development fields. Geonardo provides research, innovation and consultancy services and cutting-edge solutions in the renewable energy, resource efficiency, climate change and natural resources sectors. Across these sectors, Geonardo conducts state-of-the-art life cycle assessments (LCA), GIS/remote sensing and 3D terrestrial laser scanning (TLS) applications, develops web-based planning and decision support tools, and implements novel training, capacity building, institutional strengthening, and communication and dissemination actions. Since its establishment in 1999, Geonardo has become a leading SME in Central and Eastern Europe with extensive experience in conceiving and implementing research and innovation projects co-financed under the EU programmes, in particular the research and innovation programmes (FP5/6/7, H2020, LIFE, CIP). In these projects, Geonardo works closely with universities, research institutions, industry as well as public administrations and civil society organisations, providing innovative solutions to tackle complex challenges. Today, Geonardo has a broad portfolio of European and international projects implemented by a dynamic and multidisciplinary team of experts with solid know-how and experience in project development and management, policy formulation and implementation, web design and development, as well as technical expertise in environmental engineering, geothermal energy, bioenergy, energy efficiency, building energetics, geodata and satellite imagery processing. Human impact on the environment needs to be properly managed to ensure the sustainability of our natural resources. 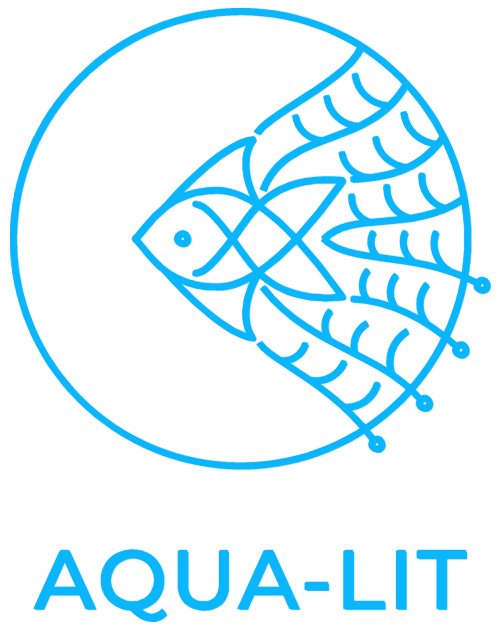 We provide the essential tools and knowledge to mitigate stress on our water ecosystems, air, land, and minerals. A complete environmental and economic assessment of a product or service along its life stages can help make better business or policy decisions. From acoustic panels produced using recycled tyres, to novel low-CO2 concrete binders, our team can carry out LCA of various products and materials. Geographical Information Systems are state-of-the-art technologies that allow data and information about a certain geographical region to be digitally stored, recorded and updated. At Geonardo, we utilise the most up-to-date GIS software and technology and remote sensing methods, applying these in diverse and novel contexts such as for assessing biomass potential for bioenergy and monitoring the impacts of mining on the environment. The rapidly emerging applications of this innovative surveying technique allow us to benefit from the high precision and high spatial resolution that 3D topography brings. At Geonardo, we use FARO 3D laser scanner, providing fast and exact measurements of buildings, artefacts and any other objects in three dimensions. Integration of IT tools and solutions and computer-based information systems is increasingly widespread across all sectors. Energy and environmental sectors are no exception. Our IT team develops and implements web-based decision support tools for complex decision making processes such as planning energy efficiency interventions in districts. We believe in lifelong learning and experience-based learning. Training is therefore an integral part of our internal activities as well as our projects. From on-site training for SMEs on energy efficiency to e-Learning courses for local authorities on low carbon heating and cooling plans, our team acts as trainers, mentors and workshop moderators in a diversity of fields. The impact and exploitation of innovation and research results remains limited without effective communication and dissemination. Our graphic design, IT and marketing communication teams work hand in hand with our project managers and partners to deliver out-of-the-box and novel solutions for dissemination and communication in a variety of projects such as those focusing on valorising waste, promoting nearly zero-energy buildings, formulating climate change adaptation strategies, and fostering sustainable bioenergy production. Conceiving novel project ideas, turning them into competitive project proposals, and implementing projects in partnership with leading universities, research institutions, industry as well as public administrations and civil society organisations make up our daily routine at Geonardo. Since our establishment in 1999, we have been quite active in developing and implementing research and innovation projects, in particular under the EU’s Framework Programmes (FP5/6/7, H2020) as well as CIP and LIFE programmes. Geonardo is looking for an ambitious and talented Project Manager with a passion for implementing projects in the energy, environment and sustainable development fields. The successful candidate will be initially assigned with leading the local (Hungarian) activities of our ongoing Horizon 2020 project START2ACT (www.start2act.eu), which runs until August 2019. H/she will, in parallel and afterwards, be involved in developing new projects and implementing other ongoing projects of Geonardo. Providing active support to other project managers in their day-to-day tasks related to the implementation of their projects. We are searching for candidates with a can-do approach, leadership skills, outgoing personality and creativity. Excellent written and verbal communication skills in Hungarian and English. Working knowledge of additional languages. A great working environment at the Graphisoft Park by the Danube, and within a young, multidisciplinary and international team. This is a full-time post foreseen to start as soon as possible, ideally from February 2019 with a probationary period of 3 months. The place of post is Budapest, Hungary. Only those applications which meet the required skills and qualifications will be considered. Short-listed candidates will be invited for an interview.